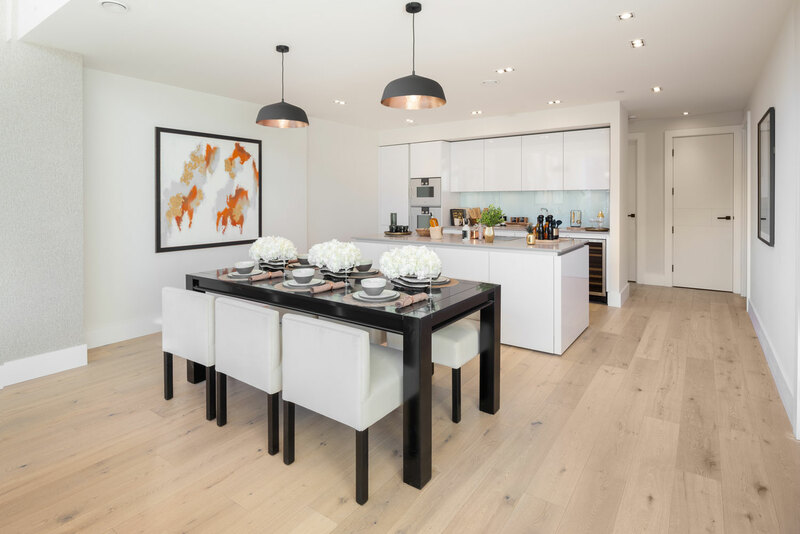 'The Crescent' by Cala features an incredible sweeping crescent design by Richard Murphy Architects and is home to a selection of exquisite apartments, duplexes, garden apartments and penthouses offering modern city living located in Edinburgh’s New Town UNESCO world heritage site. Attracting a very discerning clientele, this development required a high specification to stand apart from other builds within Edinburgh. 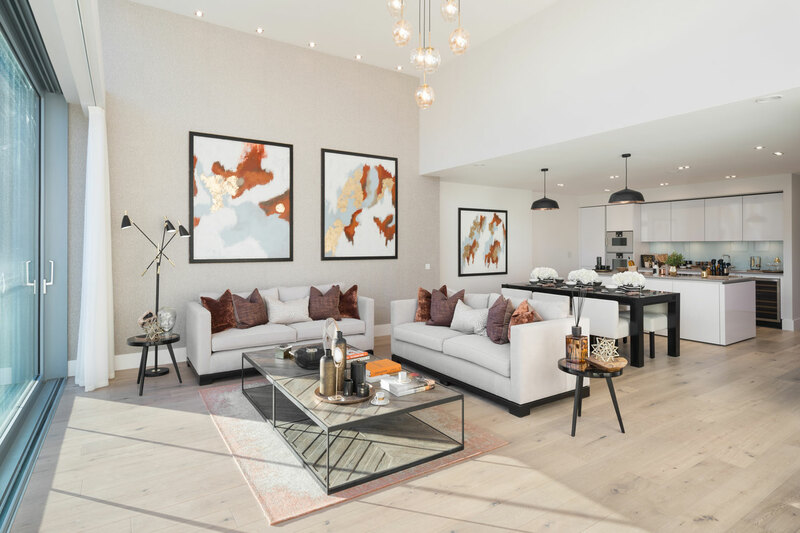 The interior architecture is very simple and modern in appearance, with some double height spaces and split level living, which makes the apartment feel less of an apartment and more a home with defined living spaces but still very cleverly open plan. The client was keen to have a contemporary styled kitchen which would adhere to the architecture. The design focus was structured on three key elements; Functionality, Quality & Attention to detail. A statement design would not have worked in this setting, as the canvas of the architecture was so powerful, the kitchen design had to fuse in to be part of that architecture. 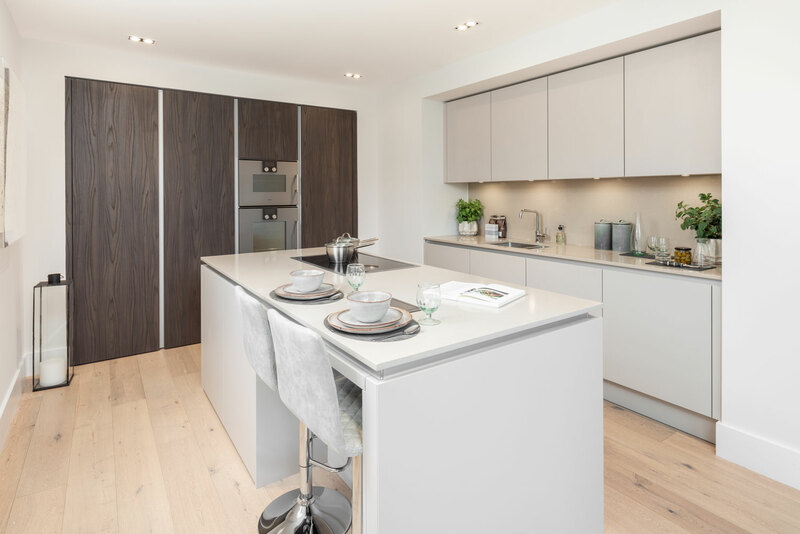 Careful consideration was given to the layout of the design and placement of appliances to maximise worktop and storage space and ensure that the kitchen performs as well as it looks. 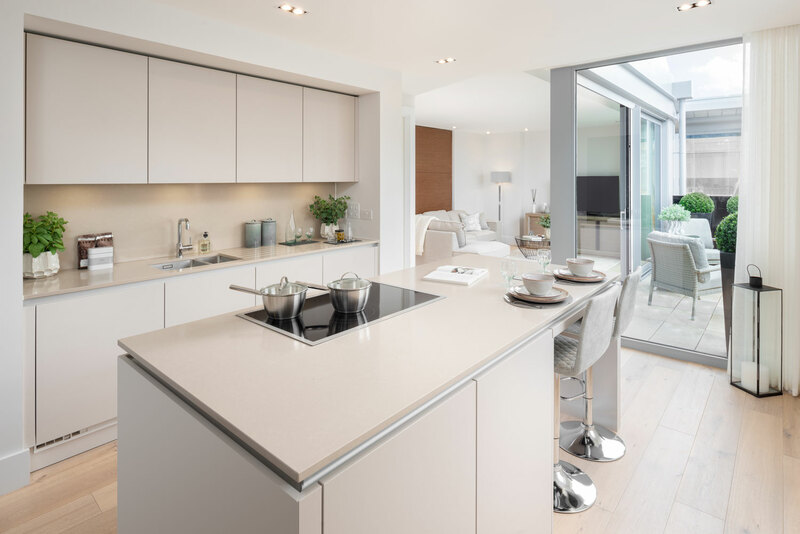 Premium Leicht handleless furniture, Silestone worktops, Quooker boiling water taps and Gaggenau cooking and Siemens refrigeration appliances were incorporated into the design to provide a stunning high quality and flexible cooking platform. Attention to detail was also paramount to the success of the design, concealed under panels below wall units house lighting while shadow gaps and handleless rail alignments create help create a clean, linear look.